I’ve been reading a lot of great content on dev.to lately (seriously you should go check it out and follow some tags…great community there) and came across this great headline “How I Solved My NYC Parking Problem With Python, the Search Tweets API and Twilio” by Jessica Garson, a Developer Advocate at Twitter. Jessica was trying to solve a problem that NYC folks have when trying to determine when to move their street-side parked cars each night due to ‘alternate side regulations’ which determine when certain sides of roads can be used or the regulations won’t be enforced due to holidays, events, whatever. She delved into using Python, the Twitter Search APIs and Twilio to tie these all together. Fun problem to solve and results in a text to Jessica whether she needs to worry about moving her car or not. Immediately after reading it I though of the game show Name That Tune. 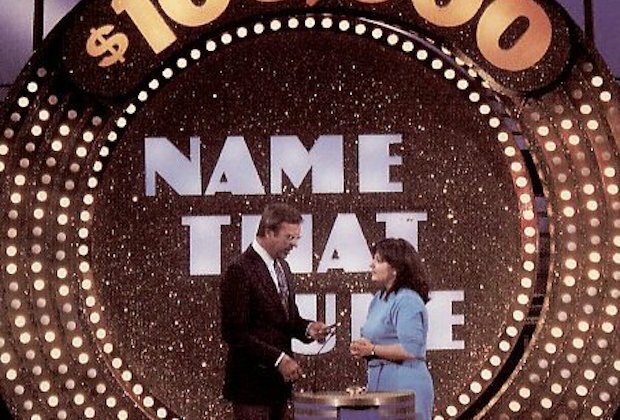 The premise of the game show is that contestants battle it out to who can identify a song based on the fewest amount of notes in a song. So of course, it is 100% applicable to code, right? Anyhow I thought to myself Self, I can solve this problem in less effort and with NO code! Lots of buzzwords there but basically it’s workflow/orchestration platform that allows you to use ‘connectors’ between various inputs and outputs. 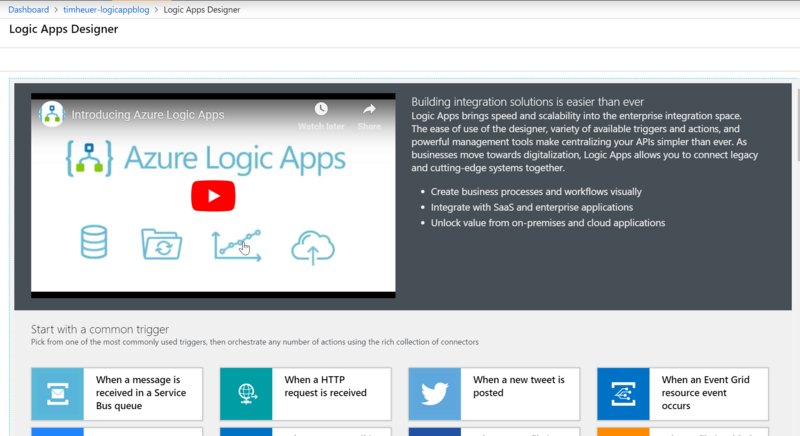 Logic Apps can be developed using code, but most are easily developed using no code and using the graphical connector tools. 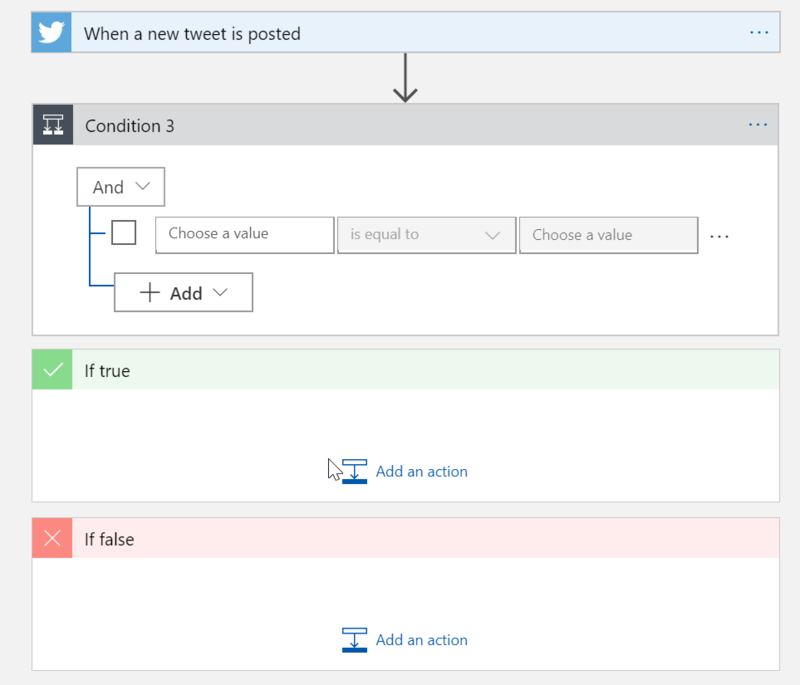 If you’ve ever used/heard of Microsoft Office Flow this is powered by Azure Logic Apps underneath! So immediately after reading the article I went to work. 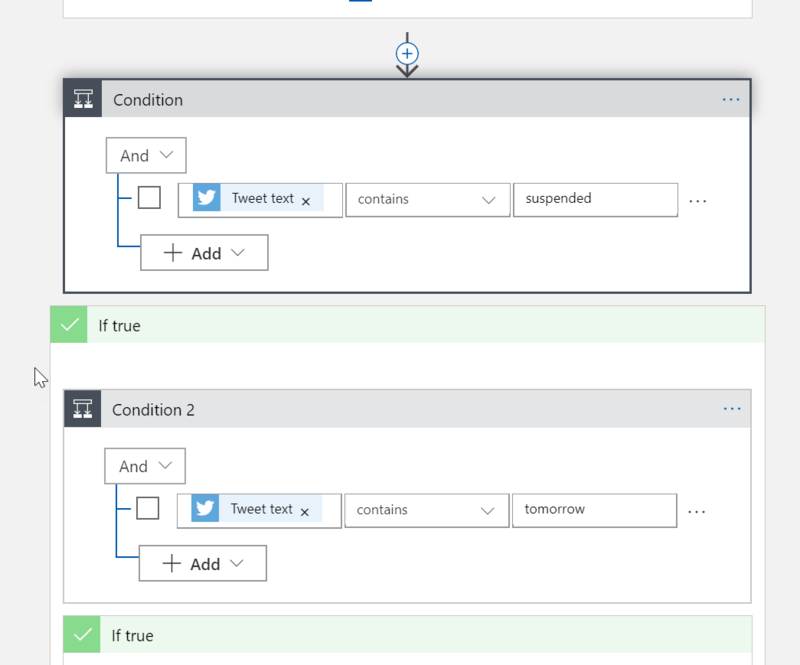 I knew that Azure already had pre-build connectors for Twitter and Twilio and that I should be able to do this easily. 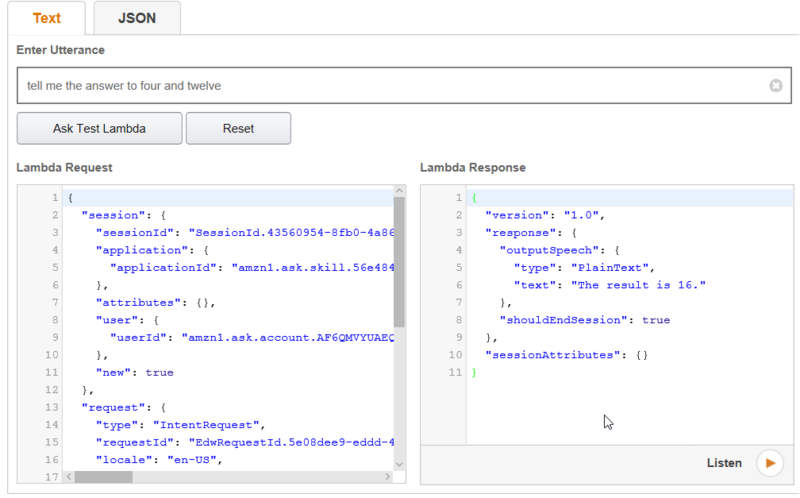 Connectors are pre-defined pieces of logic that help get access to events, data, and actions across other apps and platforms, in our case Twitter and Twilio! Jessica’s problem was fairly simple: Watch when the @NYCASP account tweets and if it indicates rules are ‘suspended’ then alert her with a text message. Now this relies on @NYCASP account being consistent in their tweets and it turns out they are VERY consistent in them, so it’s easy to search for the simple terms as Jessica did. So let’s do the same. 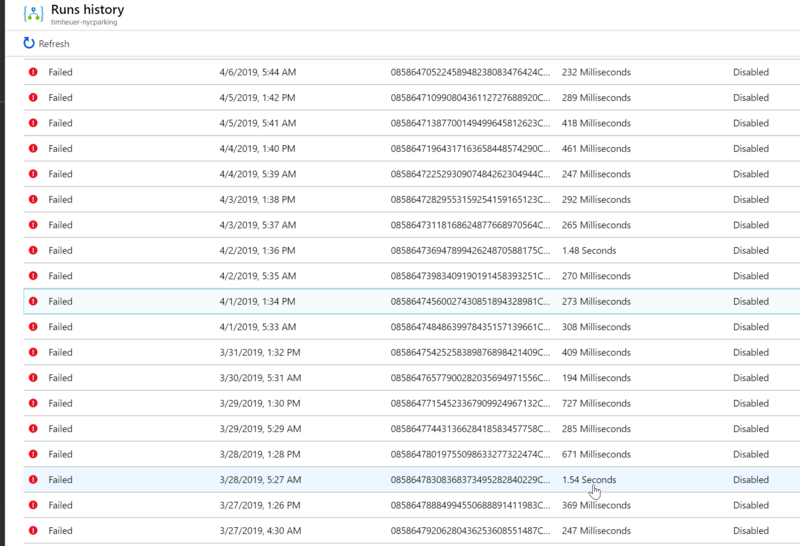 To get started I needed an Azure account which is free to get started and there are a ton of services free that you can use forever. I also still needed a Twilio account like Jessica notes so you still need that to get your Twilio credentials…be sure you have that. 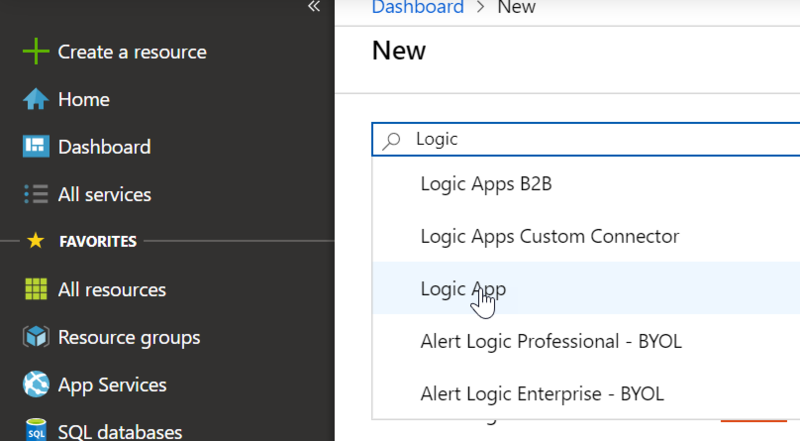 With both of these in hand, let’s log in to the Azure Portal….we won’t even need any tools other than a browser to complete this app! You’ll need to provide a name, choose a resource group plan and a geographic location where you want this to live. 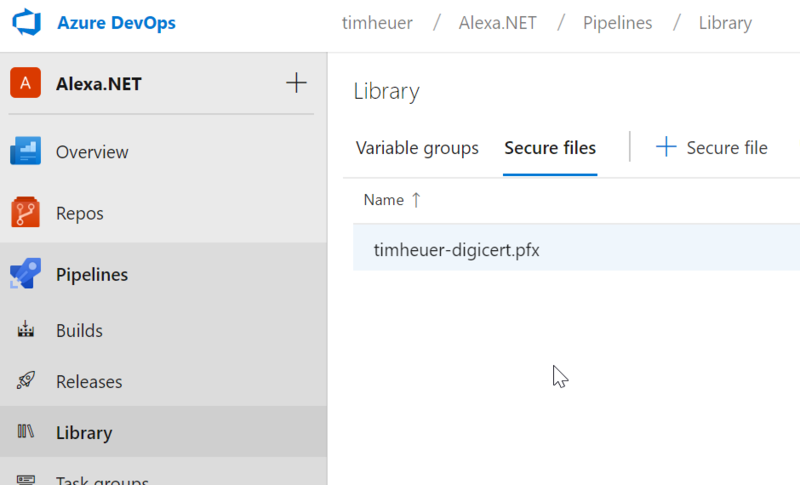 If you’ve never created any Azure resources before, a resource group is a container for certain compute resources to leverage. 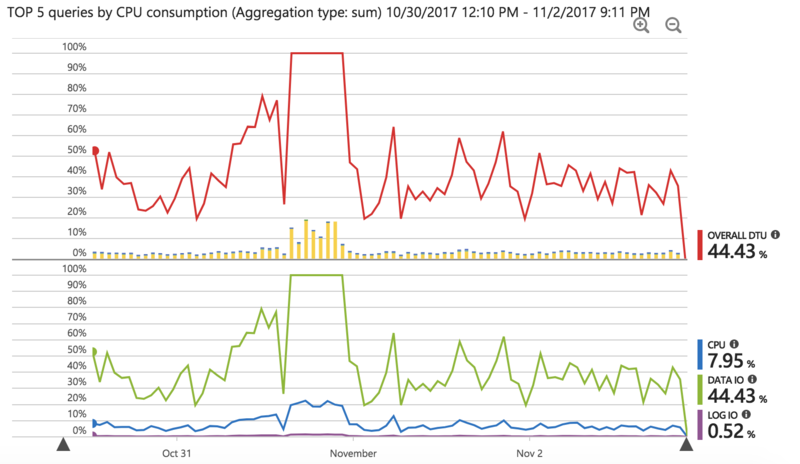 For this, I recommend creating an App Service resource group and using a free plan that comes with your free trial account. Then you can use this resource group for your Logic App. 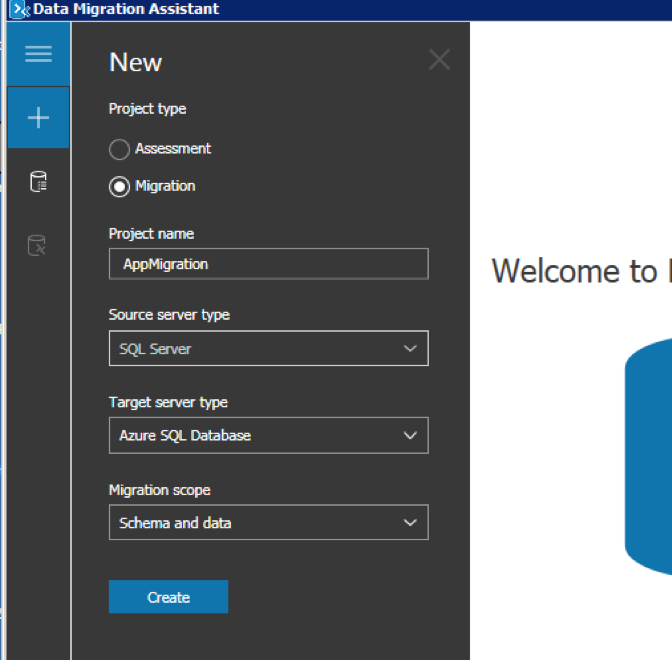 Once you have that created navigate to that resource and you will see a page that welcomes you with a tutorial video and some options for pre-configured templates. 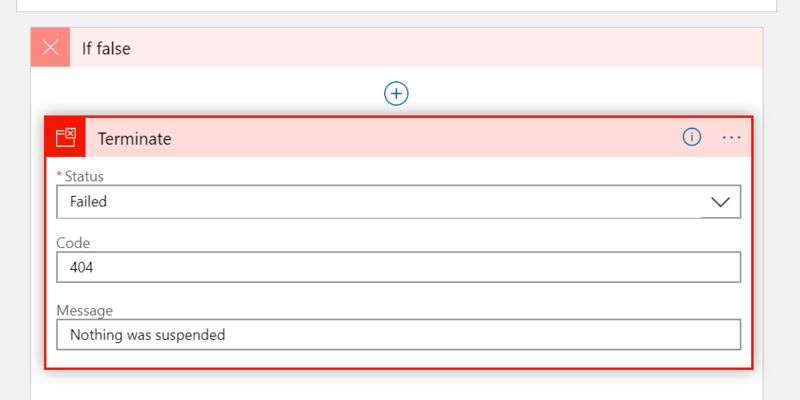 Thankfully one of the starting options is “When a new tweet is posted” so let’s use that one to help us get started as it will default add the Twitter connector! This dumps us into the Logic App designer, a graphical interface that helps us do the connections. You’ll immediately see the first ‘trigger’ which is our Twitter one and it wants you to sign in to be able to use the functionality (think of this as authorizing use of the API). Once you sign in click continue and you’ll get the options. 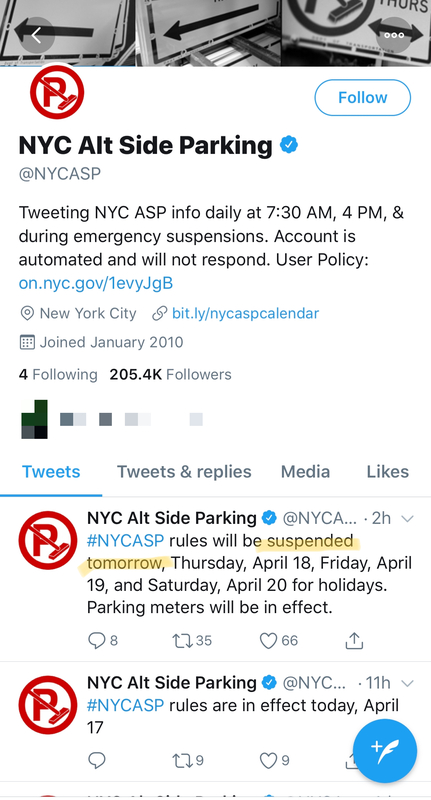 Now basically we want to look for when a new tweet is posted by @NYCASP on a time interval. Their account is pretty consistent so I chose every four hours and used the ‘from:@NYCASP’ query language as the search text. 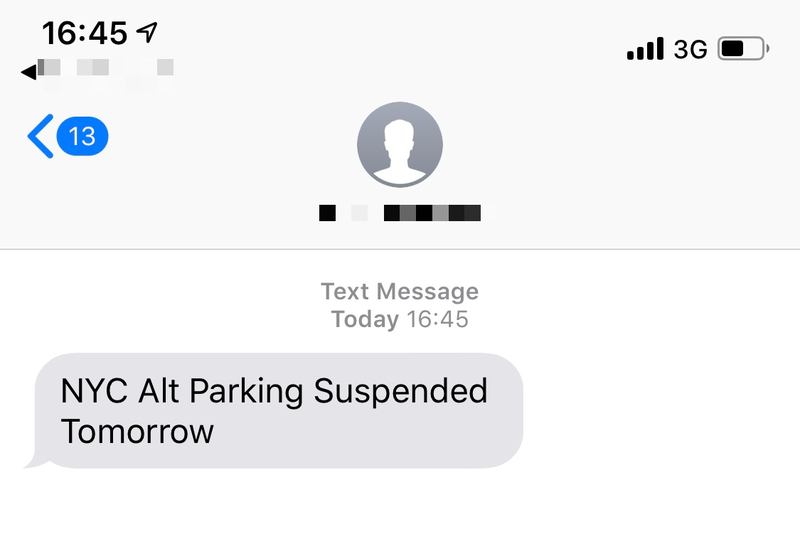 Now we know that the tweet is telling us something about suspending…but Jessica wants to know if she has to move her car for tomorrow. Let’s add another condition to now check to see if it contains ‘tomorrow’ in the text. We follow the same steps in creating a new condition trigger and connecting it. At this point we have a nested condition. Could we have put them in the same one? Probably, but I’m just following similarly Jessica’s flow. Now we know if both of those are true we need to send a text message. 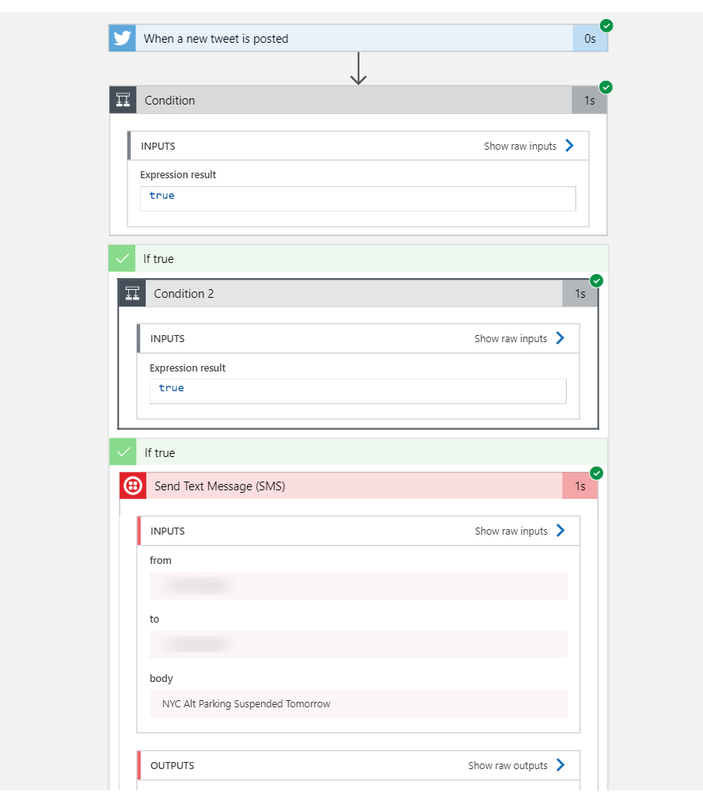 Click the ‘Add an action’ button in the True condition and search for Twilio and select the ‘Send a Text Message’ action. 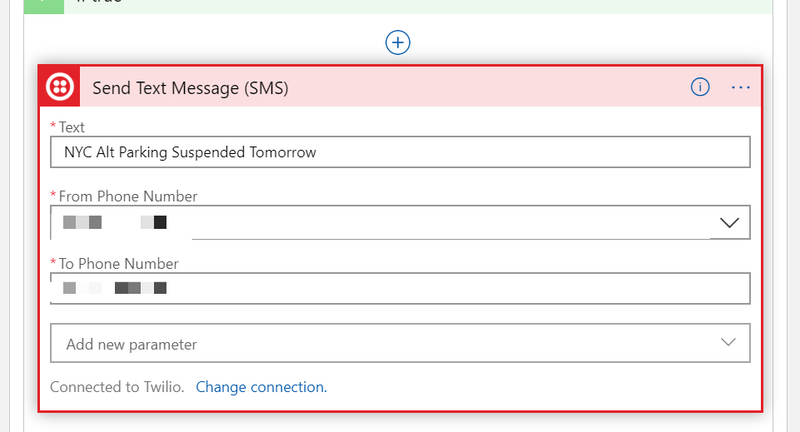 This will add the provided Twilio connector which provides this functionality (and more). Similarly like twitter you will see it and after selecting have to authenticate to your account to get the credentials. After doing that you now simply enter the details of your text message. For Twilio the From number must be your account SMS number unless you have premium services that enables you to do something more. If you try to get fancy without premium services from them, this will fail. 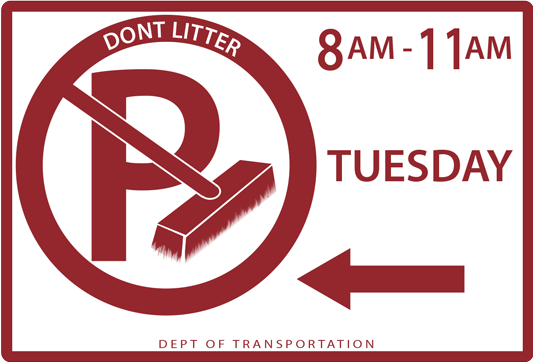 Don’t get fancy…we’re just moving cars across the street remember? Enter the text you want to send and to the phone number you want to send it to…done! So with no code and only a few steps to authenticate to Twitter and Twilio, I was able to use only a browser and complete the same task. Did I win Name That Tune? Who cares…doing software isn’t a competition, it’s fun and we get to use the tools and technology we feel most productive with. For me, this was just a gut reaction to see if could be done as easily as I thought and indeed it could. So yeah I won :-D.
Over ~200 built-in connectors provided for Logic Apps! This was the first time in a long time (I think maybe 10+ years) that I didn’t go to TechEd…err, I mean Ignite :-). Was I sad to miss seeing old friends and hearing about TwoWay binding woes? Sure. Did I miss Orlando in the summer…nope (I get, it’s an easy shot, but yeah no). 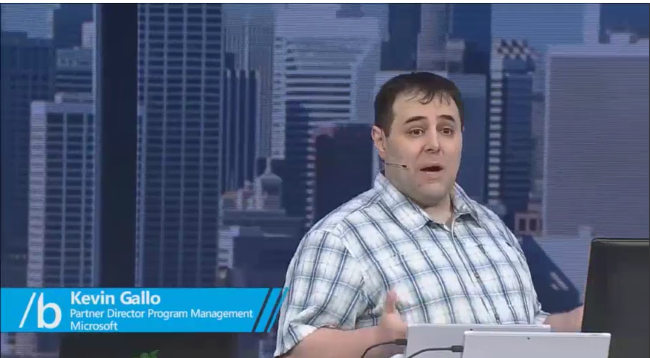 I watched from afar though and found some really great stuff for .NET developers on different spectrums. Ignite is Microsoft’s opportunity to share what is happening in the tech now versus only focus on futures. 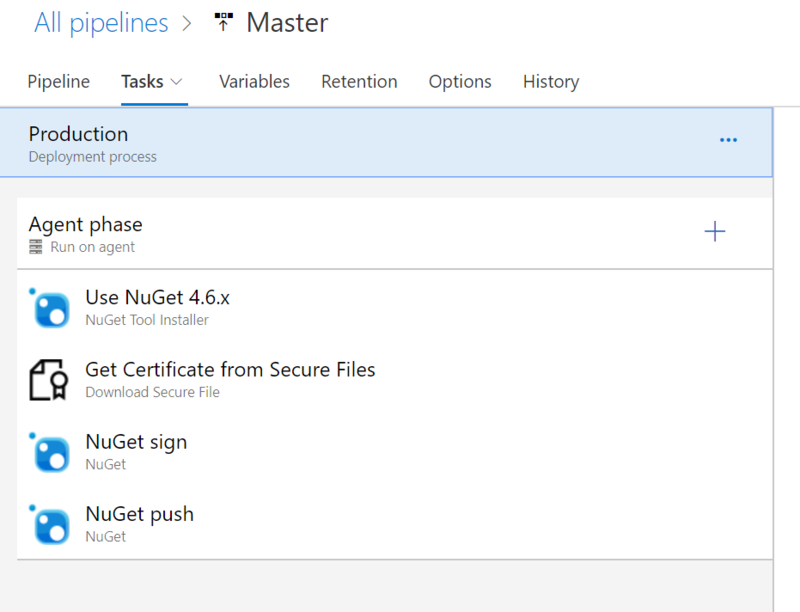 I think for .NET developers we long for the ‘vNext’ of everything, but there is a lot of great things happening NOW! 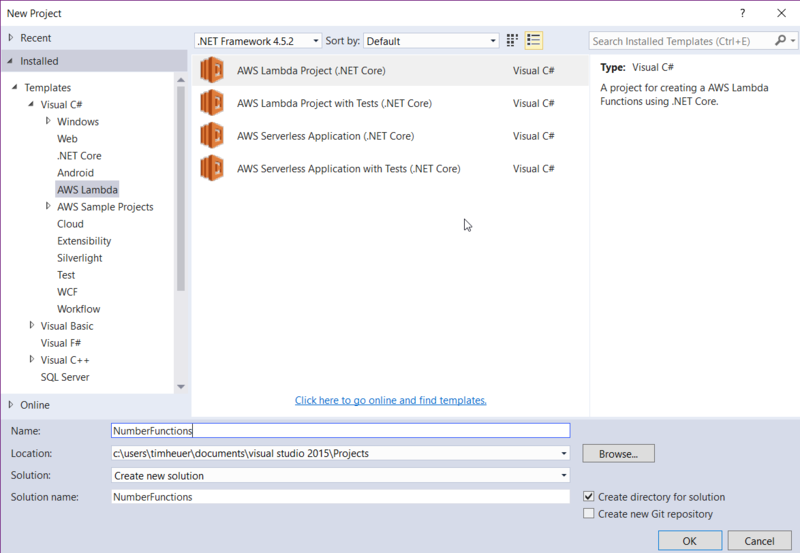 And if you are a .NET developer who has been tip-toeing into the cloud development area, Ignite was a great place to start learning. Here’s a list of things that I found for .NET Developers from Ignite. 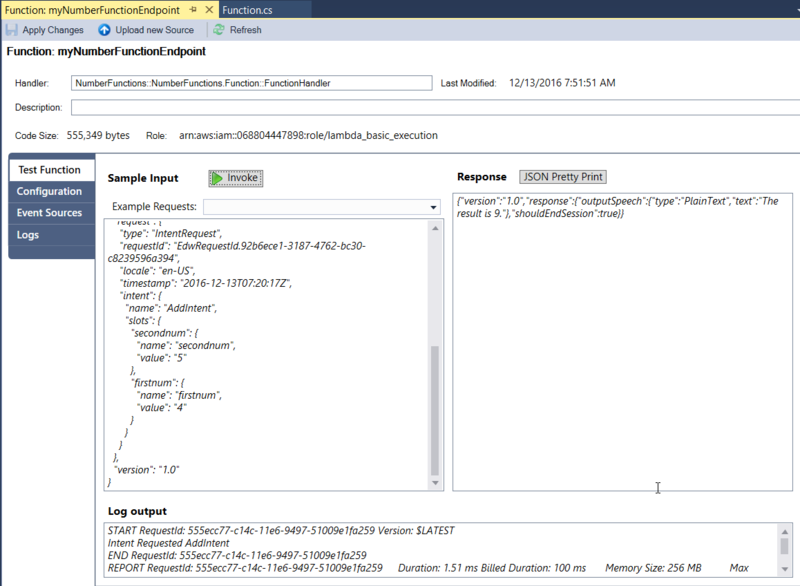 An end-to-end tour of the Microsoft developer platform (GS001) – a great end-to-end with lots of friends you will recognize! Lots of great stuff and maybe I’m missing a few. Be sure to check out all the stuff from Channel 9 as well where a broad set of topics were covered in-between sessions with experts that were there. Great smaller nuggets of knowledge that you should check out…here they are: Channel 9 Live at Ignite. Another huge thing announced at Ignite was Microsoft Learn! Microsoft Learn is a new online way of learning a bunch of new technology. Through guided learning paths you complete modules and earn points and achievements. It’s been fun a bit to compete with some co-workers on who can achieve the most badges! One of the great things also is that you don’t need much to get started. 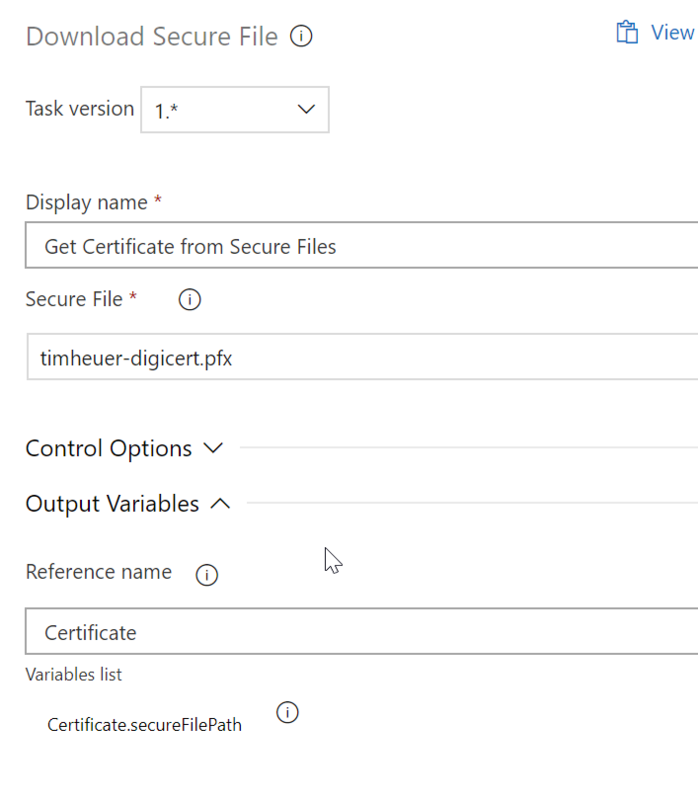 For the Azure content you do all the tasks IN THE LESSON through the cloud shell environment and with a free sandbox (no sign-up, no credit card)! Check it out and see how many achievements you can get this week. Sorry I missed some of the ‘hallway’ sessions (which are the best), but I’ll be looking for you all at the next one! What were your favorite sessions? We had so much to talk about that I wasn’t able to show the simplicity of enabling the pull-to-refresh pattern in the new controls area. Not wanting you to feel ripped off, I recorded a quick demo of a few of the things we weren’t able to demo. Take a look here at my impromptu demo insert for you! It is so great to be a part of this latest release and continue to deliver value (hopefully) to you, our developer customer. Please be sure to let us know how you are using these new improvements and the Fluent Design System. Share your creations with us at @windowsui so we can share with others as well! 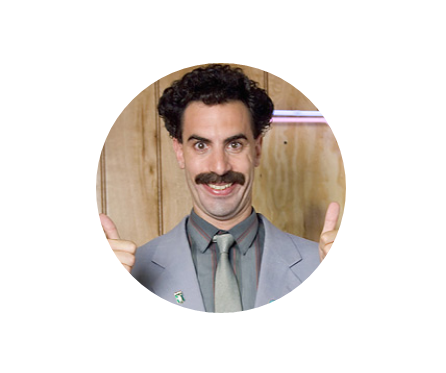 I’m excited to see the creativity unleased by our developer community. Thanks for letting me be a small part of it! What’s not to love there? Oh I suppose you prefer something like this? In the XAML dialect this is what we refer to as a ‘type converter’ or more affectionately at times ‘string to thing’ as the declarative markup is just a string representation of some structure. In WPF and Silverlight this was implemented through requiring to use the System.ComponentModel.TypeConverter class model where you would attribute your class with a pointer to an implementation of TypeConverter that would override the common things you need, most of the time ConvertFrom capabilities. In UWP where we currently could not rely on the exact same implementation of System.ComponentModel.TypeConverter as it is not a part of the API exposure to UWP apps at this time as well as being a .NET concept which wouldn’t be available to other WinRT developers. In looking at ways to achieve the same primary scenario, we can now look at the Creator’s Update to deliver the functionality for us. 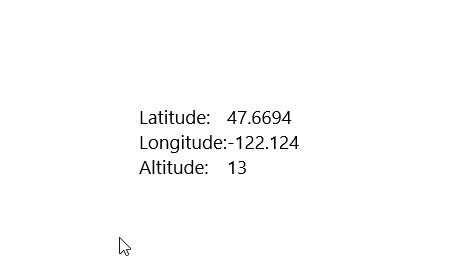 In the markup compiler for Creator’s Update we now leverage the metadata CreateFromString attribute in WinRT to generate the correct metdata to do the conversion. 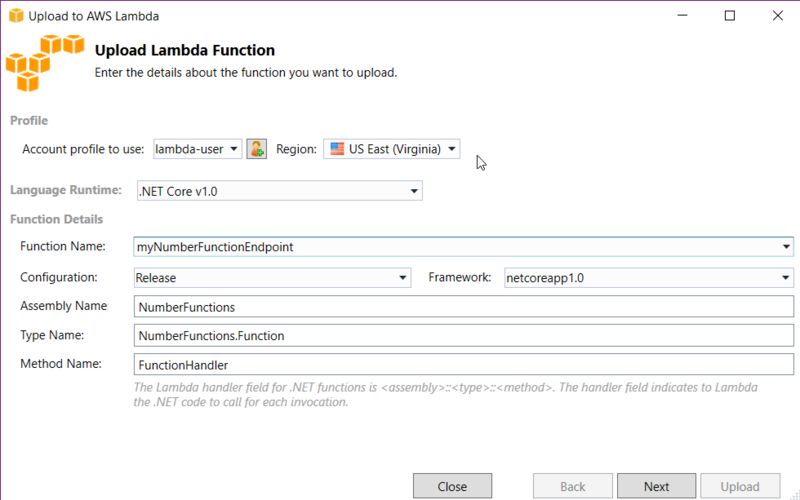 The responsibility lies in the owner of the class (looking at you ISVs as you update) to add this metadata capabilities. NOTE: To enable this capability, the consuming app must currently have minimum target to the Creator’s Update. As you can see in the highlighted lines, I added two things. First I added an attribute to my class to let it know that I have a CreateFromString method and then provided the fully qualified name to that method. The second obvious thing is to implement that method. It has to be a public static method and you can see my simple example here. Yes, my control is quite lame but just meant to illustrate the point. The control binds to the CenterPoint.Latitude|Longitude|Altitude properties of the type. 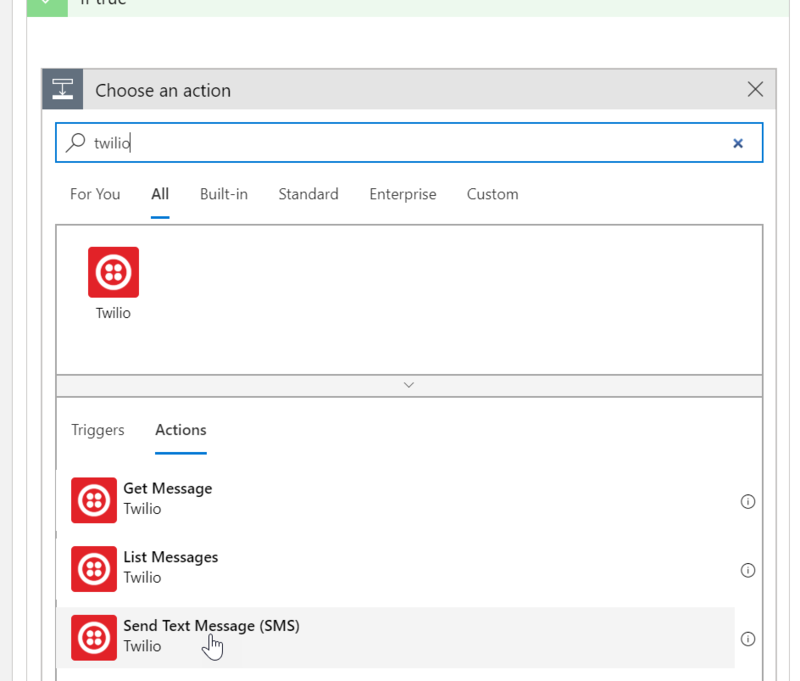 If you are in this scenario of providing APIs that are used in UI markup for UWP apps, try this out and see if it adds delighters for your customers. I’ve uploaded the full sample of this code to my GitHub in type-converter-sample if you want to see it in full. Hope this helps!